The complexity and size of the Port of Long Beach make security operations especially challenging. 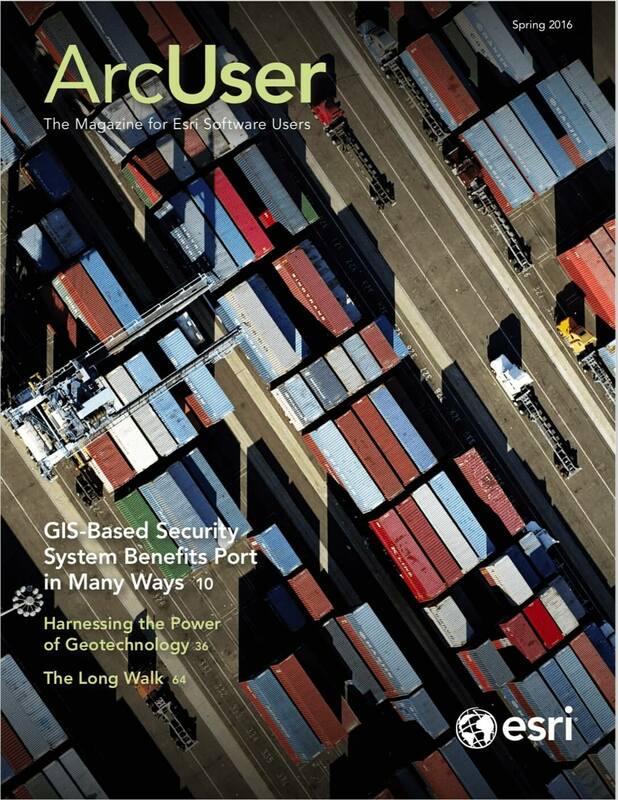 Adding ArcGIS to existing systems substantially increased the port’s ability to monitor and analyze its operations. The Ports of Long Beach and Los Angeles form the San Pedro Bay Port Complex at the point where the mouth of the Los Angeles River completes its 50-mile course to the Pacific Ocean. Though operating independently, together the two facilities make up the largest port complex in the United States and are responsible for more than 40 percent of the nation’s containerized cargo shipments. Occupying more than 3,200 acres (or 13 square kilometers) of land with 25 miles of the waterfront, the Port of Long Beach poses a major challenge for security operations, particularly since it is an open port that provides docking services to pleasure and small business craft as well as commercial cargo ships. In addition, more than 15,000 trucks and 100 trains move in and out of the port every day. The dynamic nature of the port, with its constant movement and 24-hour operations, requires close surveillance. 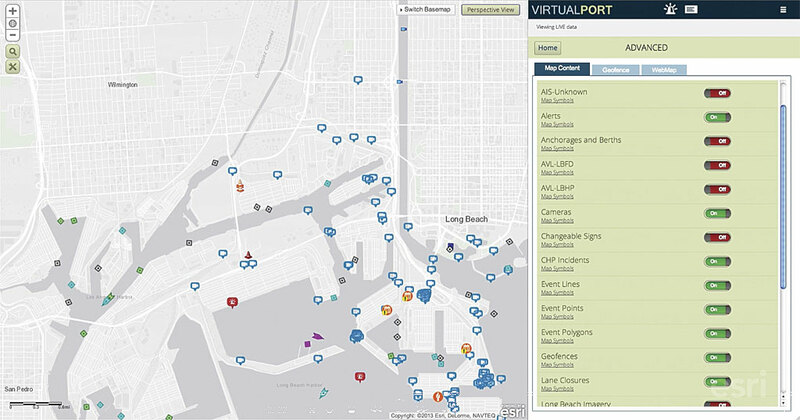 Virtual Port is a dynamic, ArcGIS-based system that is fundamental to security operations at the Port of Long Beach. 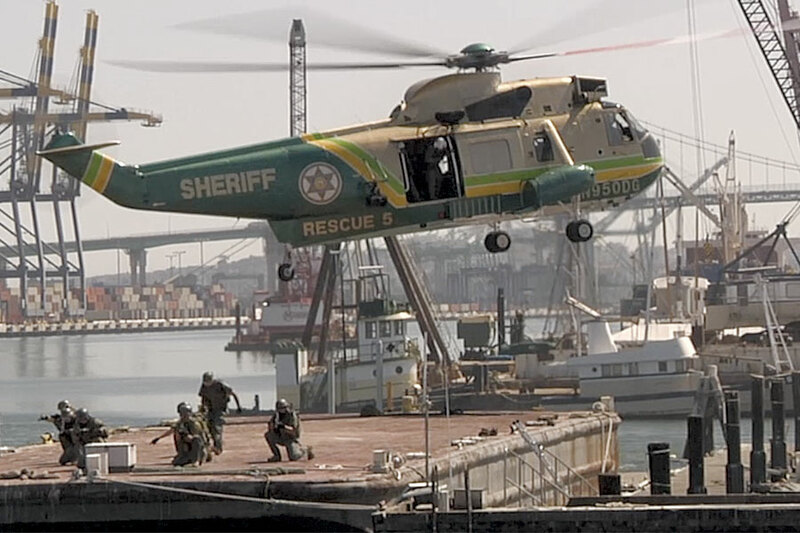 Like many ports, Long Beach maintains a multilayered physical security system that includes closed circuit television surveillance, helicopter downlinks, radar tracking, sonar, and other sensor-based systems. About six years ago, ArcGIS was added to help visualize security operations. The benefits of making GIS central to the port’s joint command and control center were quickly realized. More than 60 geographically referenced databases are integrated with the existing physical security system. A major aspect of business recovery is to get the port operational again as quickly as possible after an incident. 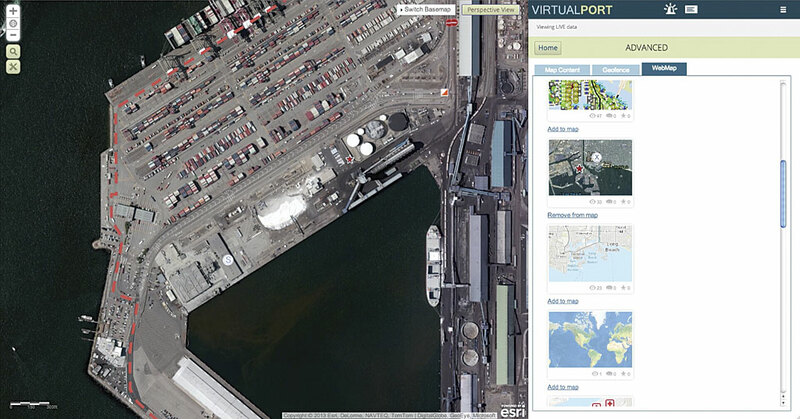 Virtual Port can help officials determine which areas of the port are inoperable, what remains open, and what resources are available to quickly resume port operations. The ArcGIS GeoEvent Extension for Server is used to display dynamic services and feeds, such as asset or automatic identification system vessel tracking. Rule-based alerts are built into the GeoEvent Extension and provide instant notifications to port personnel when certain conditions occur such as a vessel coming within the designated radius of a restricted area. Collector for ArcGIS and Operations Dashboard for ArcGIS support in-field data collection and situational awareness for Virtual Port. Virtual Port is used for two other primary functions: incident response and business recovery. Partner agencies can connect to Virtual Port and access its common operational picture to collaborate and share information, ensuring the resiliency of the facility. Port officials can also run what-if scenarios that model chemical plumes and other hazards to help agencies prepare for and better understand the impact of potentially dangerous situations. 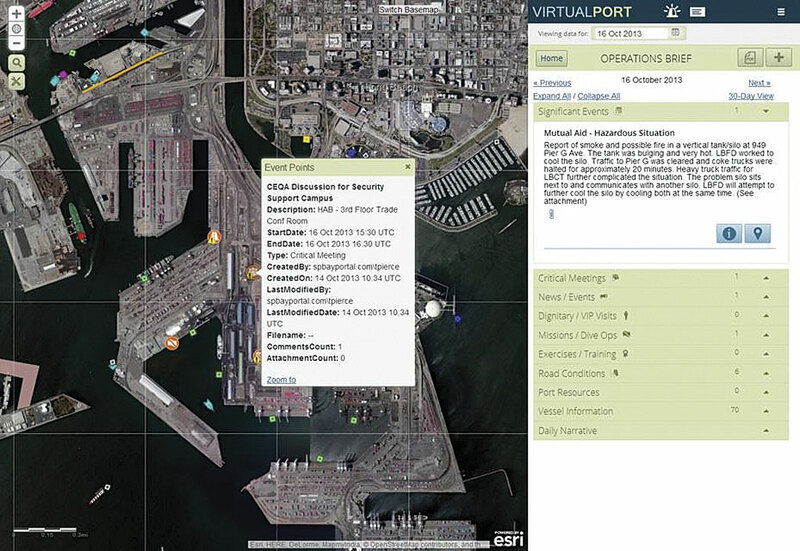 Virtual Port functions as a bidirectional, open-source clearinghouse for the agencies that partner with the security division of the Port of Long Beach. Partner agencies have access to the port’s data but are also encouraged to add their own data to the system. The twelve law enforcement agencies that station personnel at the port are allowed access to Virtual Port. A variety of federal, state, and local public service agencies use some aspect of Virtual Port for their operations. The port also partners with agencies in the surrounding area including the City of Long Beach Emergency Communications and Operations Center, local police and fire departments, and some of the local health agencies. To manage the many users, multiple security levels have been implemented. A variety of federal, state, and local public service agencies use some aspect of Virtual Port for their operations. Not all ports are the size of the Port of Long Beach or command the resources to implement a GIS-based security system as comprehensive as Virtual Port. However, Parsons indicated that the system is scalable for operations of different sizes. It can be applied to ports with different cargo operations, such as shipments of break bulk cargo or liquid natural gas. Parsons realized the Port of Long Beach has gained an additional benefit from Virtual Port.